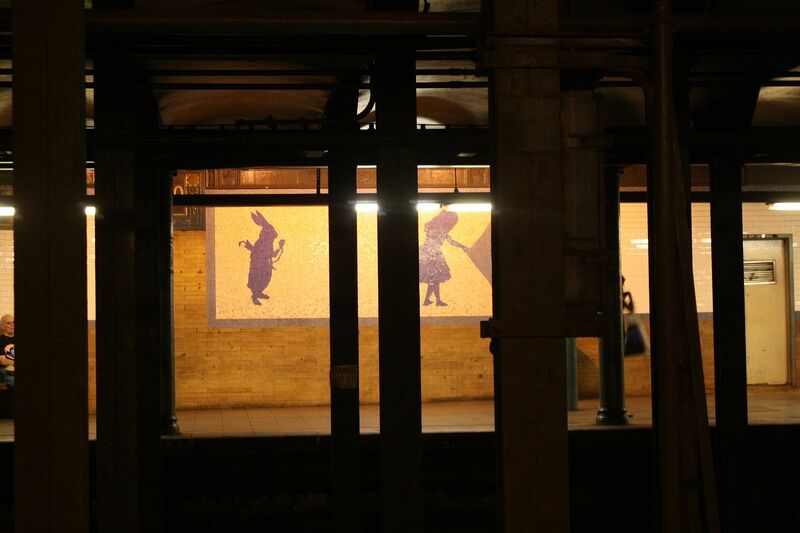 i just love all of the different tile work at each of the subway stations. 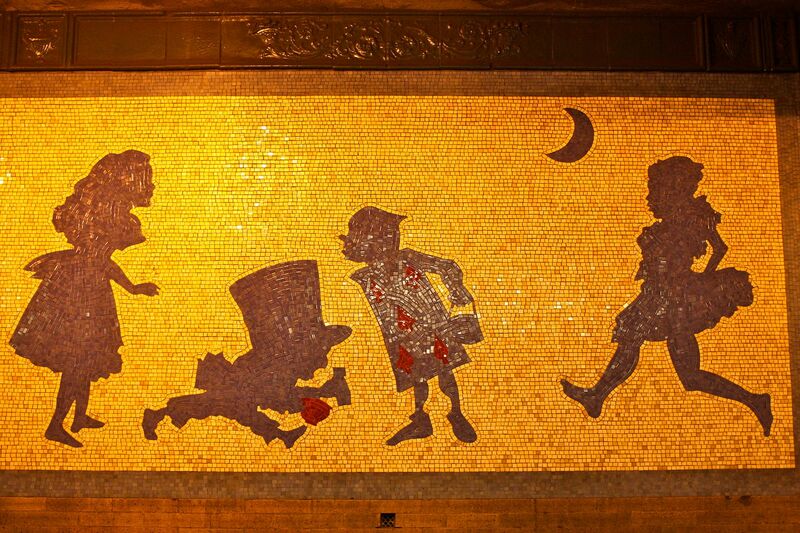 especially the alice in wonderland tiles at 50th street red line. 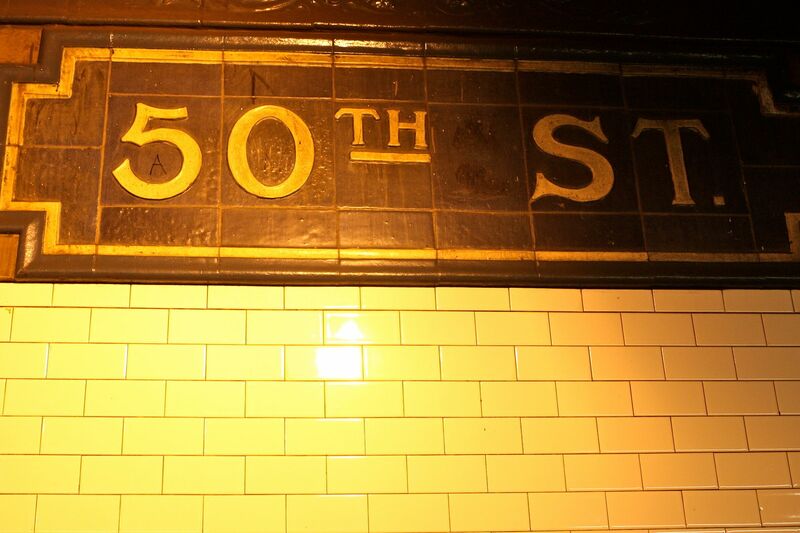 23rd street, N/R stop. All the different hats. My boyfriend and I will take pictures attempting to make it look like we're wearing the hat if the stop is deserted. It always looks silly, but I love it. 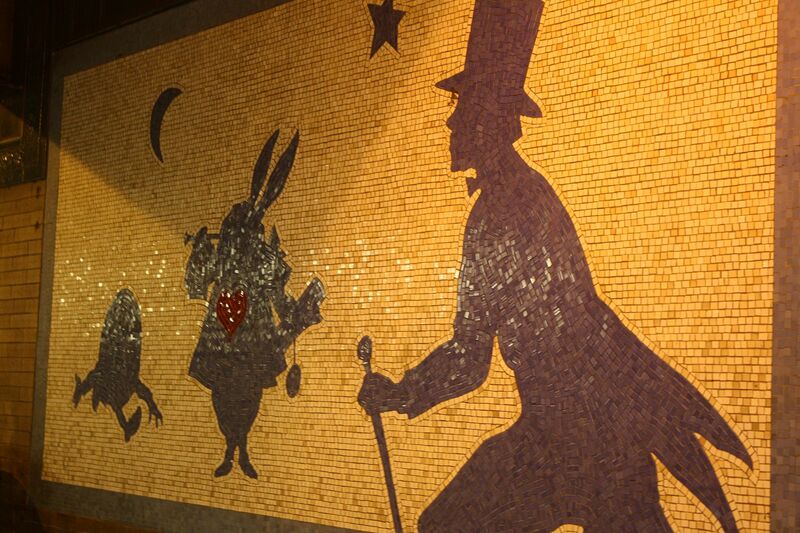 Those Alice in Wonderland tiles have always been my favorite. i wish we had public transit in Salt Lake! Seems to make for an adventure and a lot of enjoyment! oooh Alice in Wonderland? Those would definitely be my favorite! This is so cool! Thanks for sharing. Now I need to see it in person.